Adolescence is the peak age of onset for many mental health disorders including anxiety, depression and substance abuse. Half of all mental disorders usually start by the mid-teens and three quarters by early and mid-twenties. Almost a quarter of Australian teenagers aged 15 to 19 now have symptoms of mental illness – a significant increase over the last five years, despite increasing awareness of mental health issues and a number of national initiatives to tackle the issue. 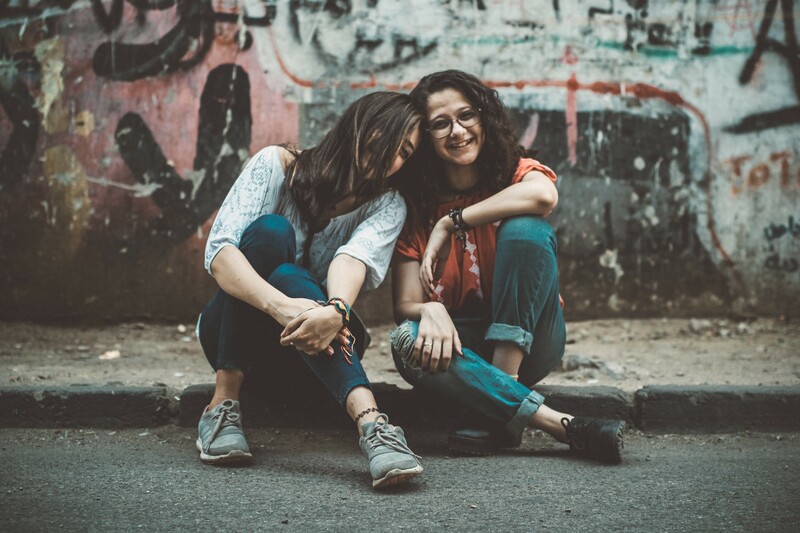 The Mission Australia Youth Survey is an annual survey of young people aged 15-19 years concerning the issues that they consider to be the most important in Australia today. For the first time, the 2017 survey found that mental health is the number one issue of national concern for young people in Australia. The top three issues identified in the most recent survey were mental health (33.7%), alcohol and drugs (32.0%) and equity and discrimination (27.3%). In 2015 only 14.9% of participants identified mental health as an issue for concern. Mental health was also identified as a major barrier to achievement, with 13.2% stating that they felt their goals for work or study after finishing school would be affected by their mental health. Coping with stress, problems at school, and body image were ranked as the top personal issues for concern with 40% of respondents admitting to being very or extremely concerned about coping with stress. If you’re a young person, or the parent of an adolescent who may be struggling with mental health issues, here are some tips to work towards improved mental wellbeing and a confident transition into adulthood. Getting enough good quality sleep is important for mental health. Lack of sleep is linked to depression and substance abuse problems and for every hour of sleep missed there is a 38% increase in chance of feeling sad and a 23% increase in the chance of using alcohol, tobacco or marijuana. Young people aged 14-17 need 8 to 10 hours of sleep a night but it’s common to not get enough because of pressures from school, social life and use of electronic devices. To promote better sleep, try setting a bedtime and evening routine, turn off all electronic devices at least half an hour before going to sleep, limit caffeine after midday and try to get some exercise during the day. Spending time with friends and family is a vital part of mental wellbeing. No matter how busy you may be with school or university, make sure you take the time to be with people who lift your mood. Relationship breakups can also be a trigger for negative feelings and depression, but these feelings should improve over time. It’s important to seek the support of others during this time and avoid using drugs or alcohol to deal with the pain. The food you eat can impact your mental as well as physical health. Diets high in sugar and fat are linked with emotional and behavioural problems in young people and a bad diet may affect mood, concentration and mental health. Adolescence is also a peak time for developing eating disorders. Over 84% of young people responding to a survey carried out on behalf of the National Eating Disorder Collaboration said that they knew someone who they believed might have an eating disorder. Maintaining a healthy relationship with food is vital not only to reduce the risk of developing eating disorders such as anorexia and bulimia, but also to avoid obesity, which may lead to low self-esteem, depression and other emotional issues. Slowing down and taking a mental break from worries relating to school, home, and relationships can help you to deal with stress more easily and manage your feeling. Deep breathing, mindfulness meditation, progressive muscle relaxation, creative visualisation and yoga, are all effective relaxation exercises which are quick and simple to learn. Relaxing can also be as simple as having a warm bath, spending some time outdoors in nature, listing to some calming music or reading a good book with a cup of tea. Alcohol and other drugs can improve your mood in the short term, but they are likely to make you feel much worse in the long run, particularly if you are already battling with mental health issues. If you feel anxious or depressed before drinking, the alcohol is likely to make it worse. There’s also evidence that alcohol increases the risk of developing mental illness and makes self-harm and suicide more likely. Turning to drugs and alcohol as an attempt to self-medicate for depression, anxiety and other issues can also lead to problems with alcohol abuse and addiction in the future. Where Can Young People Get Help for Mental Health Issues? Most respondents of the Mission Australia study (84.4%) said that they would seek help from their friends when dealing with important issues in their lives. Only 4 in 10 said they would seek help from a doctor or teacher. However, sometimes things can seem so overwhelming that even the most helpful and supporting friend or family member can’t improve the situation. In cases like this, seeking professional advice and support from a trained child psychologist can help young people to work through their issues and deal with challenging situations. Psychologists work with children and parents or caregivers together to assess the problem and formulate an ongoing therapy plan to provide counselling and treatment for a number of mental health issues. For more information about child psychology or mental wellness services for young people, please contact one of our psychology clinics in Perth to find out more and make an appointment.